If you're anything like me, in spite of the pretty phenomenal weather we've been having here in the Philly area, you're a little bummed that Summer is quickly coming to an end. 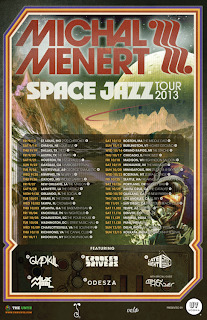 Have no fear, I've got the perfect cure for your sadness, Michal Menert. The man, the myth, the legend of the Pretty Lights Music Label has announced a new EP and, even better, he's going on his first headlining tour. The dates are listed below. 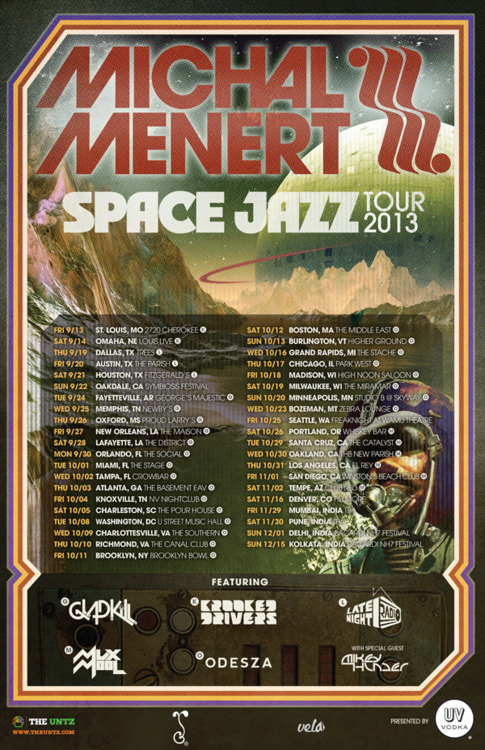 And if that weren't enough, he's offering a Michal Menert Mafia package for his headlining shows. For a ridiculously low price (varies depending on the show), You can get a tour poster, stickers, and a discount from his online store. Check it out here. PS - He and every other artist on the Pretty Lights Music Label offer all of their songs for free download (though donations would be nice).